So you navigated the maze of pregnancy and emerged unscathed out the other side. Now it's time to do the most important, amazing job in the world: be a dad! For the next few years you're going to be dealing with potty training, tantrums and dirty nappies. But don't worry, 101 Baby and Toddler Tips for Men brings you the top tips for coping with your child for the next three years. There are tips … for all important events and special occasions from taking your home and baby's first step to coping with the terrible twos. 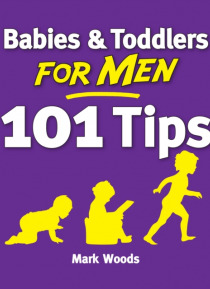 101 Baby and Toddler Tips for Men brings you essential bite-size tips for all situations in your new baby's life. Both practical and funny, Mark Woods guides you through three years of joy, fear and prams, teaching you what men need to know with bite-size tips for every occasion.